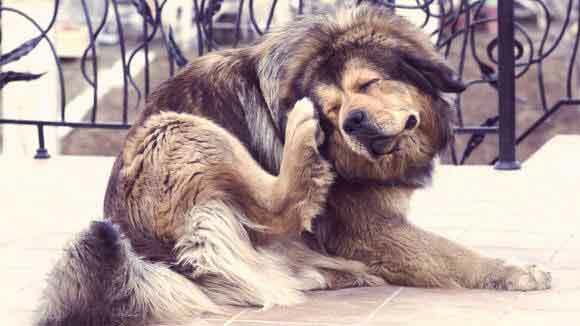 Is your dog constantly itching? There could be a few reasons for it. Mix some Epsom salt in warm water and wash the affected area for relief. Reduce the amount of shampoo or soap you use to bath you dog. Excess shampoo causes dry skin which is more prone to irritation and itching as all the protective oils of the skin are lost. In case of flea bites, apple cider vinegar mixed with water works great and also repels fleas. Wash the scratchy area with vinegar water for relief. Food allergies can also cause itching. Ensure you dog gets a nutritious diet, adding fresh or boiled vegetables for a good dose of required nutrients and antioxidants. You can add fish or olive oil as supplements. You can even apply olive oil or a cooled cup of thyme tea to the dry itchy patches for relief.